We host educational forums on the structure and operations of our government, key issues affecting refugee and immigrant communities, engaging in the democratic process, and strategies for advocacy. We ensure that the refugee and immigrant community has representation at city and county budget conferences and other critical decision-making meetings. We advocate for clients’ access to the services they need to become self-sufficient. 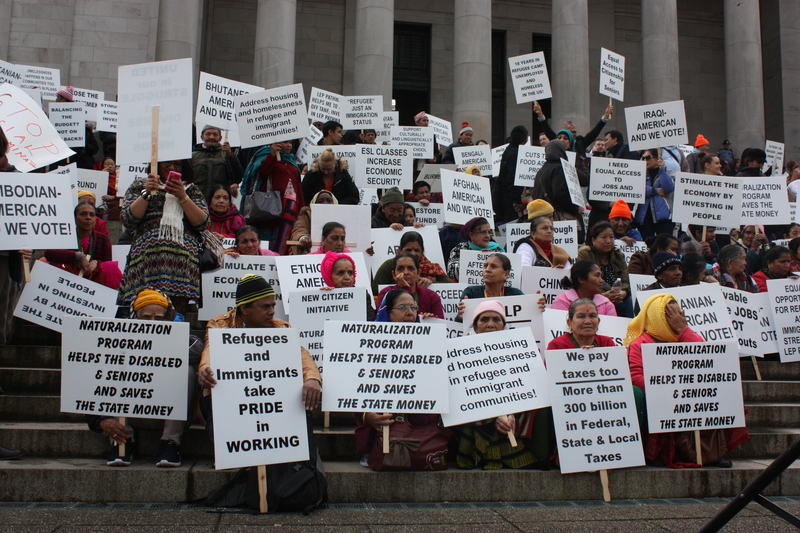 ReWA’s organization of the annual Washington State Refugee and Immigrant Legislative Day has been the centerpiece of our advocacy efforts. For 10 years, members of the communities we serve, ReWA staff, our partner organizations, and supporters gather at Olympia to raise awareness about issues that affect the lives of refugees and immigrants. We rally and personally meet with our legislators — and do so peacefully, vibrantly, and effectively.